I'm a bicoastal gal, with parts of my heart (and life) in both New York and San Francisco. I travel to connect, to explore, and to be amazed. To me, the best trips include: places with a fascinating history, natural beauty that leaves me speechless, off-the-beaten-path gems, local food/designers/vendors, and a handful of accidental adventures. (I also adore a good ghost hunt or historical reenactment. 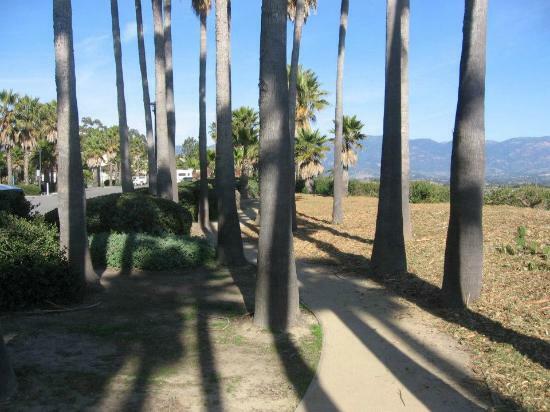 Flanked by majestic mountains and magnificent sea, Santa Barbara is an outdoor lover's paradise. Here, the best places to soak up the sun, from popular beaches to tranquil islands. 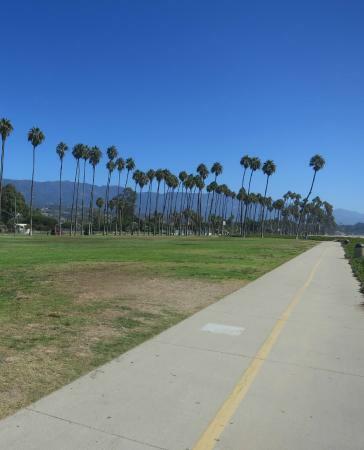 Between shuttles, bikes, and your own two feet, it's easy to get around Santa Barbara — and even some surrounding cities — without a car, but a vehicle will be helpful for hikes. 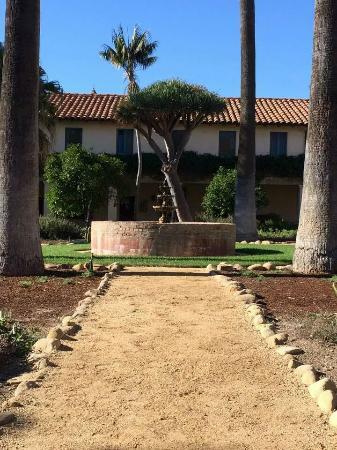 Santa Barbara is a laid-back town, but it also has standards. Beachwear is great for the beach, but shopping and dining in your swimsuit is frowned upon. Ocean breezes can sometimes mute the sun's effects, but it's still there. Be sure to protect your skin accordingly. Always pack water (and maybe some snacks) to keep you going on your adventures. Unfortunately, occasional oil leaks have left tar on SB beaches, and it will cake on your feet. Wear flip flops, and wash your feet when you return home to avoid tracking the tar. Those islands you see off the shore might be pretty from land, but what awaits you on the islands themselves is even more incredible. This string of 8 islands is like California's own (far-less-known) Galapagos, with more than 2,000 plant and animal species, 145 of which are found only on the Channel Islands. 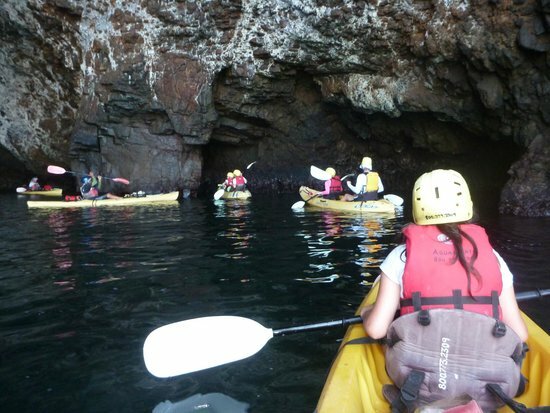 Visitors to this natural paradise can hike to spectacular vistas, snorkel through forests, and kayak into hidden grottoes. 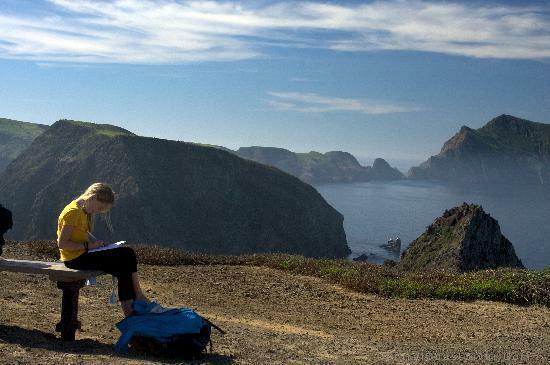 It's somewhat shocking, but Channel Islands is one of the least visited American National Parks, meaning that you'll enjoy some delightful solitude during your visit. The best way to experience the islands is by camping there. 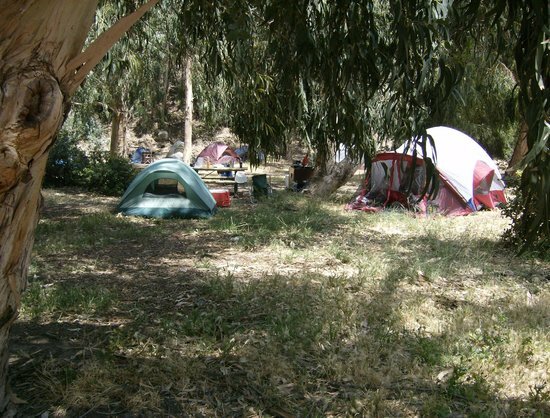 Both Anacapa and Santa Cruz Islands offer campsites, as well as a wide range of activities to fill your days. Some companies offer day trips from Santa Barbara out to the islands, or you can head down to Ventura, and catch the ferry out. Kayaking is one of the best ways to experience the islands! Ventura rental companies will send kayaks out on the ferry, and come pick them up later if you camp on the islands. Please remember that the islands and their surrounding waters are protected areas and fragile ecosystems. Treat the area with care, and collect your trash before departing. Set in the quiet of the Ellwood Mesa, this copse of eucalyptus trees is pretty all year round, but it becomes flat-out magical November through February. 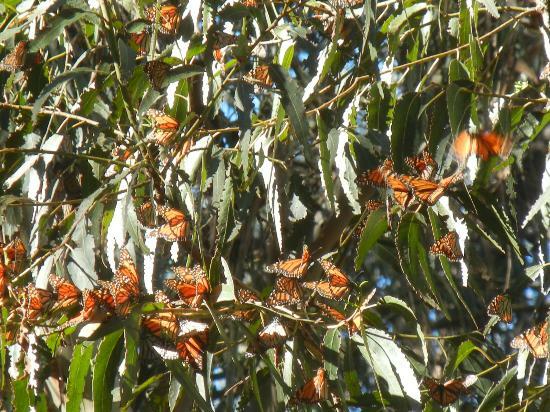 That's when thousands of monarch butterflies migrate to the area to make their homes in the shelter of the tree branches. On cool mornings, they'll look like odd clusters of leaves (a camouflage technique), but you'll see more movement as the day warms up. Visit during, when it's warm enough for the butterflies to flutter around the trees (they can't fly in the cold, and remain huddled around the branches otherwise). 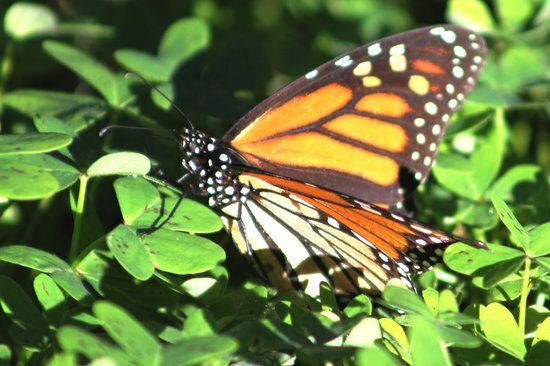 Take time to explore the rest of Ellwood Mesa, the beautiful Sperling Preserve, after visiting the butterflies. Some butterflies may "puddle" on the ground, so watch your step to avoid crushing any. Likewise, avoid making loud noises. 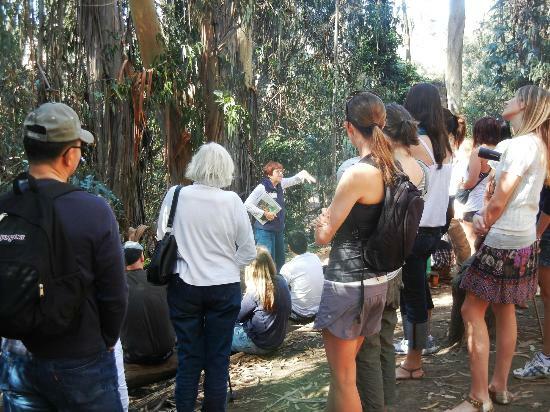 During high season, docents are available in the grove 11am-2pm, and are happy to answer any questions. You can take bus 25 to the "Hollister at Via Jero" stop, and walk in from there. 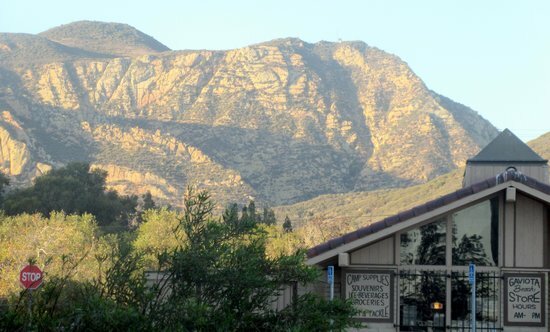 Situated 30 miles from downtown Santa Barbara, Gaviota State Park is a quiet escape with campgrounds, hiking trails, and places for swimming — but the locals love it best for its hot springs. Just off the trail to Gaviota Peak, the natural, sulphuric springs are a pleasant respite to soothe tired legs and enjoy healing waters. Just beyond, the peak offers stellar views of the coast, with the Channel Islands in the distance. If you aren't up for the hike, you can also wander under the train trestle to Gaviota Beach, a beautiful stretch of sand that is almost always quiet. Surf fishing is a popular pastime here. With the sea breezes, the beach can get chilly. It's a good idea to bring jackets for beaching or camping. The trail does not have much shade. Pack a lot of water, and a hat. There is a small fee to park at the trailhead. 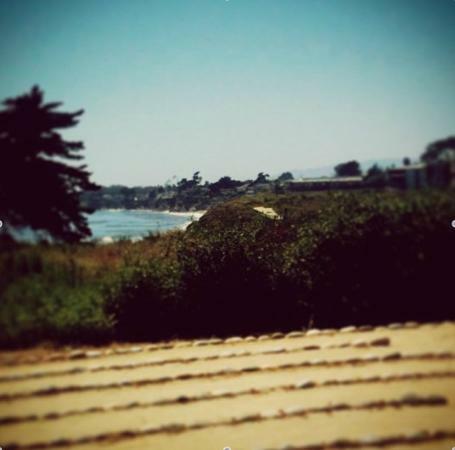 Situated at the base of Santa Barbara City College, Leadbetter Beach one of Santa Barbara's most popular stretches of sand, great for strolling, sailing, or just plain sunning. There's always a buzz of activity here, and the bluff extends out into the water, affording impressive views. When hunger strikes, Shoreline Beach Cafe helps you alleviate it without venturing off the sand. 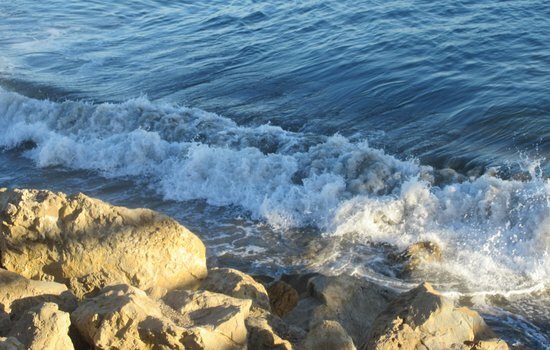 Calm waves in this area make it a good spot for beginner surfers to practice their skills. The area often has good winds, so it's a popular place for windsurfing and kiteboarding. During low tide, you can sneak around the point to find a lovely, isolated section of beach (just be sure to come back before the tide comes in!). 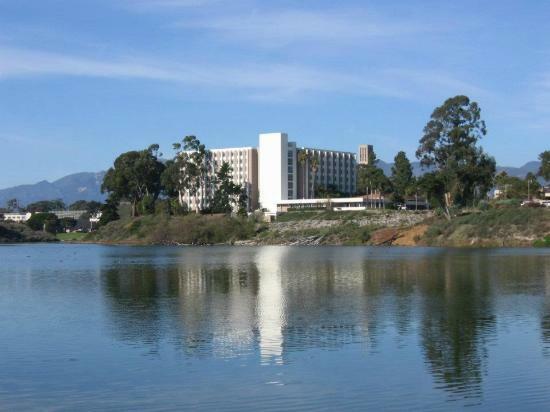 As a student at UC Santa Barbara, I spent countless precious hours walking the paths that wind around the campus lagoon and up above on its bluffs. But you don't have to be a Gaucho (UCSB's mascot) to be enamored with a university campus that boasts not only a tranquil lagoon, but its very own beach (Campus Point). Winding its way around the southwest section of campus, the UCSB Lagoon is surrounded by all manner of flora, with a myriad of fauna that also calls this natural wonderland home. The pretty path winds around the lagoon, connecting it to Campus Point. After visiting Campus Point, be sure to climb the steps up — the upper trails afford spectacular views of the coast. A stunning labyrinth awaits atop the bluff on the Lagoon Island Trail — strolling its winding path, with the jaw-dropping coast in your sightline, is sure wash your troubles away. While the trail is lovely to behold at all times of day, it is especially magical at dusk. 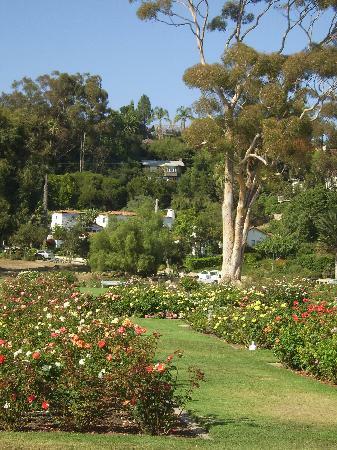 From its perch in the glitzy Riviera neighborhood, with Santa Barbara stretching out below it, historic, overgrown Franceschi Park feels like an untouched, long-forgotten secret garden. Planted in the late 19th-century by horticulturalist Francesco Franceschi, who is famous for importing some 900 plant species to this lush area, the 40-acre property has long been rather disheveled and overgrown, but that only adds to its mysterious appeal. Whether you clamber along its network of trails, secret yourself away to a little nook and read a book, or simply take in the incredible views, you'll feel like you've stumbled upon a magical place all your own. Sunsets here are guaranteed to take your breath away. Franceshi's residence, now boarded up, adds to the mysterious allure, especially since the philanthropist who bought it installed a variety of bizarre medallions — check them out! There are hidden staircases all over the area, some of them totally overgrown. Go on a treasure hunt to see how many you can find — and where they lead! Among the historic treasures you'll find up here is a round-about from a trolley that ran in the area; look for it. 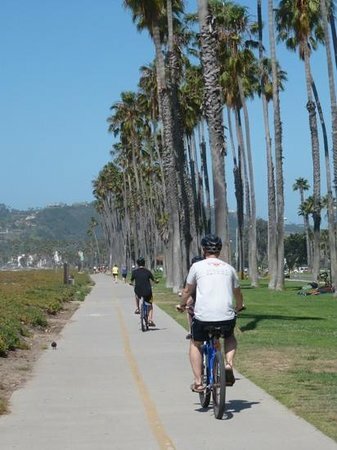 Riding a bike along the beach is a quintessential Santa Barbara (or perhaps even California) experience. 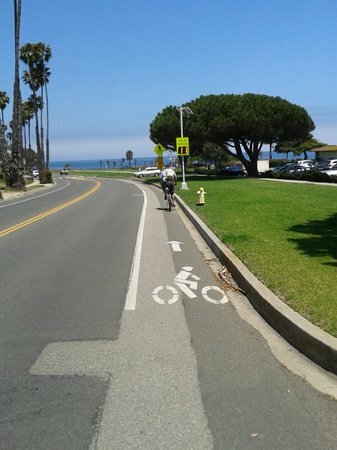 Stretching from popular East Beach all the way to Stearns Wharf, the paved Cabrillo Bike Path, runs parallel to the water, ideal for biking or strolling. If you're with a group, opt for a four- or six-person surrey. They feel a little silly, but are good for a laugh! 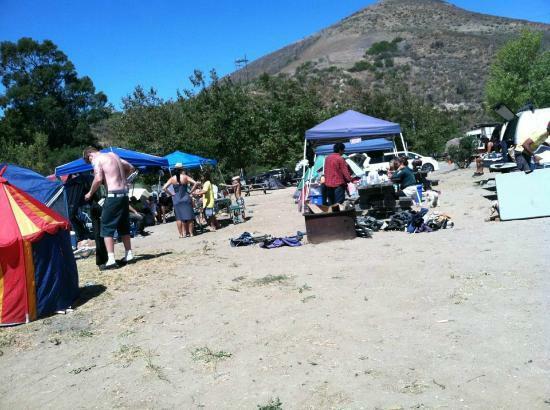 Skip the bikes on Sundays, when Cabrillo Arts and Crafts Show takes over the area. Instead, stroll the show to peruse or buy local art. There are several bike rental shops along and around State Street, offering all manner of bikes and accompaniments (like helmets and child attachments). 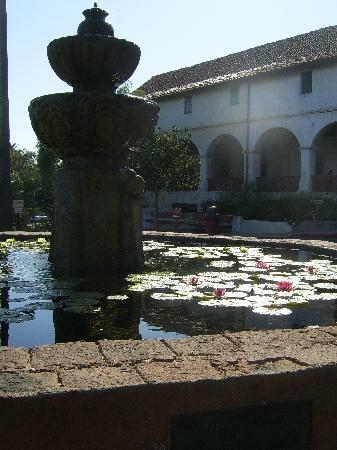 Backed by the Santa Ynez Mountains, Mission Santa Barbara more than just a stunning historic church. Its grounds and garden are a relaxing place to while away an afternoon, reading or napping on the grass. The grounds are free to visit, but you'll need to buy a ticket to view the garden, cemetery, and museum. The mission is open daily, except on holidays. Pick up snacks from the Public Market, and have a picnic on the lawn!